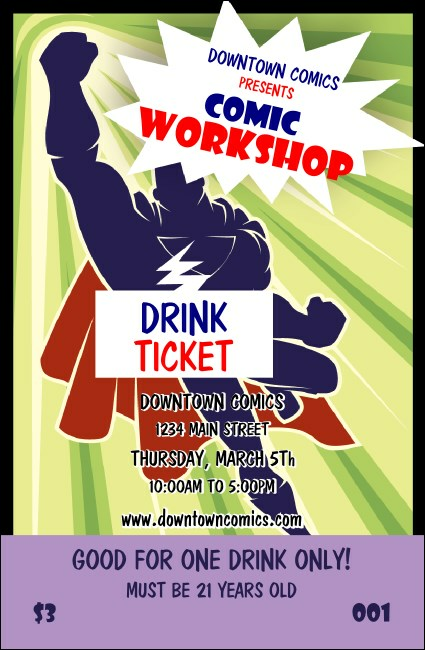 Organize the masses at your convention or workshop and hand out the Comic Book Drink Ticket. This explosive design packs a punch, with fourteen lines of event and drink details and a drawing of a blue hero in a red cape. Take the pressure off your service staff with this fun template.